Since its the week after Christmas and our pockets are a bit light Im trying to cook dinner with what I have on hand. 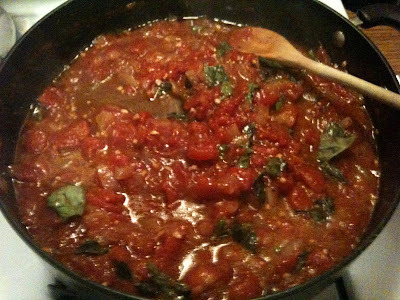 Since I had a bunch of basil left over from my caprese salad I decided to try to make a tomato basil sauce with what I had in my pantry. Its a little bit sweet, a little bit spicy and bursting with basil. 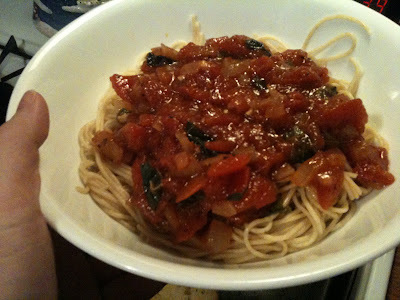 Its a very chunky sauce ans tastes great with whole grain spaghetti. This sounds so good! I love the addition of the balsamic vinegar. Happy New Year!